The construction world covers a range of industries with a high rate of poor heath and safety-related injuries. This is not only because of the number of people who work in construction.It’s also due to the type of jobs and risky conditions that are characteristic of the industry itself. Understanding that no industry is without its pitfalls, while being aware of risks in your workplace is the key to preventing them. Here are a list of causes that contribute to poor health and safety in construction: Chemical exposure Harsh acids, oils, solvents and chemicals are common in the construction industry. These can cause anything from skin reactions to respiratory conditions. These can be prevented by wearing a pair of good quality vulcanised boots as well as gloves, eyewear and overalls when dealing with such substances. Long working hours Although this may seem like the most innocent hazard associated with the construction industry, long working hours can wreak havoc on workers. It increases fatigue, which negatively impacts concentration, resulting in tiredness and decreased productivity. Whilst this may not seem all that bad, fatigue is one of the factors that increase the likelihood of workplace accidents. Repetitive motion injuries The repetitive nature of actions carried out in the construction industry can lead to a host of joint and limb conditions. These make working difficult, due to the pain and inflammation of muscles, tendons and ligaments. Such conditions are treated by resting the affected areas and taking anti-inflammatory medications. Incorrect safety gear Wearing poor-grade safety wear is just as good as wearing no safety wear at all. Inferior materials, poor manufacturing and low protection make wearing incorrect safety gear a risk for anyone working in construction. Investing in good quality safety wear helps prevent wear and tear and the need to replace poor quality safety gear early. 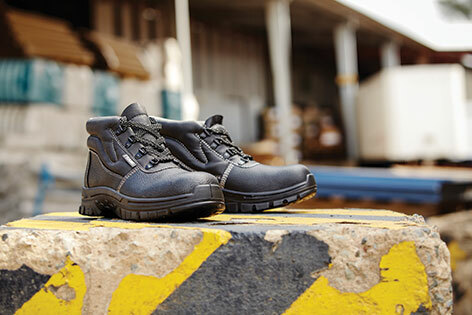 It also lessens the impact of injuries on-site through safety wear that you can depend on. Non-compliance to safety standards on site It’s important to remember that safety standards and regulations on-site are there for a reason. Although you may want to question or go against them, they are there for your own safety. Ignoring such rules on-site can have devastating consequences, so always do your best to adhere to them. Improper usage of machinery Heavy duty machinery is often the cause of many injuries on-site. Should you be operating any or be in close proximity to it, please ensure that you are aware of how to operate it properly. Knowing what to do in an emergency situation with regards to shutting off machinery will also help lessen the impact of any accidents or malfunctions. Contagious illnesses on site Although not a direct result of the construction environment, the close proximity between workers results in contagious illnesses being passed on. These range from tuberculosis to the common cold, gastroenteritis and even pink eye. By taking a multivitamin and by not sharing food or water when sick, you could limit the spread of such diseases on-site. Improper nutrition and water intake Getting the right nutrition and sufficient water to keep your body hydrated is key to preventing fatigue. Ensure that you eat a good breakfast prior to starting your work day. This will help keep your energy levels up and your mind sharp, preventing accidents that stem from a loss of concentration. 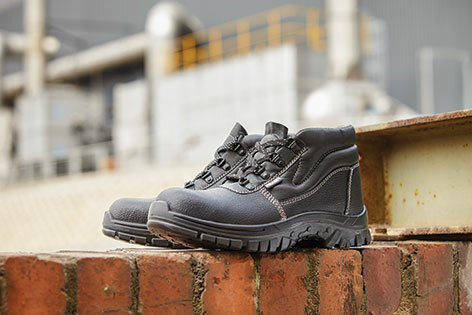 Frams manufacture affordable safety footwear for use in the construction industry and beyond. For more information on our extensive ranges and how they can offer you safety in your working environment, visit our website www.frams.co.za.